I’ve been a huge Godzilla fan for quite a while now. At this point it’s safe to say that I talk about him almost every day. It’s hard to say just how many years it’s been, but one of the first Godzilla films I ever saw was the Megaguirus one. It’s one of my least favorite titles so it didn’t start me off on the right foot, but it got me thinking how hype the G series could be. Eventually I went on to watch the rest of the Godzilla films and even bought 3 of the games. Naturally it’s been a great time to be a G fan lately with all of the new films and comics coming out. Unfortunately though, some of them seem to miss the point of what a Godzilla film is all about. Mainly I’m referring to the recent Netflix films, but others are guilty as well. So, I’m going to talk about why Godzilla films are a blast and the popular misconceptions around them. At the very least this is why I love the Godzilla films. I always enjoy a good monster battle. See, the average monster film has to walk a fine line here since if the fight is too graphic it can fall into the animal violence camp. Likewise if the monster acts too much like a creature. It’s for that reason that I believe the films should stick away from having kid monsters in it like Minilla. 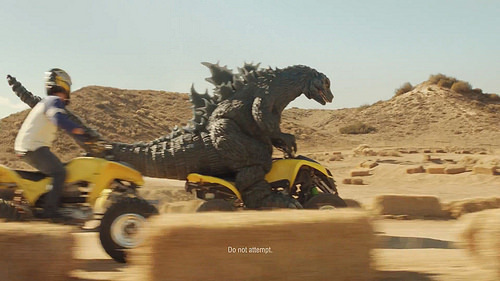 Ultimately he serves as more of a liability to Godzilla than anything else. The Godzilla films have always been pretty careful about this. Occasionally you’ll get a fight that isn’t too fun like Megaguirus, Vs Gigan, and Kumonga, but for the most part they are rock solid. The Ghidorah fights are a blast, I like seeing Godzilla go up against Space G, etc. Whether Godzilla gets up close to dish out some hand to hand action on the villains or falls back on his atomic breath, the stakes are quite high from start to finish. These fights were a blast. I always have a hard time deciding which era was better for Godzilla, Showa or Millennium. Both are fantastic but for mainly different reasons. Showa had more close combat fights while Millennium went for the beam wars. 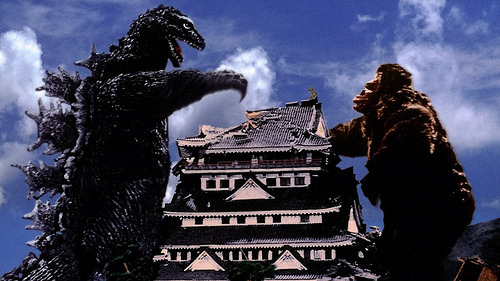 Both approaches are fun and the important thing is that they had Kaiju battles. This is where some of the films start to mess up. Take the recent Netflix film. Godzilla doesn’t actually fight against any real opponents. It’s just the army bombarding Godzilla for about an hour until they realize that this approach isn’t working and quickly fall back to plan B. That’s not entertaining. It’s like watching a human try to hit a robot with a sling shot for the whole film. We know that it’s futile from the start and that doesn’t change as the film goes on. It works as a great backdrop to solidify what a threat the Kaiju is of course, but that’s not supposed to be the payoff. Take Godzilla Against Mecha Godzila for example. It’s great to see the army give it their best of course, not because they have a chance, but because it shows how impressive the robot is to damage Godzilla when the full armaments could not. Take away Mecha Godzilla and you have to wonder why they are wasting so much ammo. You need a Kaiju opponent. For that reason, I consider some fan favorite Godzilla films to be among the weaker ones. The original Godzilla film, Godzilla Returns, the 1998 Godzilla film, both Netflix Godzilla films, and Shin Godzilla. Most of those are still quality films in their own right, but compared to the other Godzilla films I can’t really say that they rank. You end up sorely missing the fights that got you into the series. Final Wars is still the best Godzilla film because it took the modern day effects of the Millennium era and mixed them together with the close quarters combat of the Showa films. It had nonstop action and easily the best soundtrack in the series. It was just a masterpiece and the human plot was actually really good as well. Usually I end up forgetting the human plot as soon as it pops up because I’m just ready for the Godzilla action to commence. Even if it takes 40 minutes for the Big G to appear I know that the payoff will be worth it. It’s why I’ve seen Final Wars 3 times already. Usually when someone says that the Godzilla series is pretty cheesy or that they were laughing the entire time that can be seen as negative when it’s really a positive. Yeah, the old Godzilla films have some dated effects, but that doesn’t mean they were bad. The English dubs of the films had fun turning the films into full comedies at times and it worked quite well. Seeing the monsters rolling on the ground and wrestling makes for great entertainment. It’s part of why I love the era so much. I may not take it all that seriously, but I’ll still be enjoying it quite a lot. The Godzilla series doesn’t need to be super somber or take itself seriously to be good. Some films choose to look at the situation really realistically with how the world would handle the Kaiju, while others do not. The former can work, but there are only so many ways you can portray this. Sometimes it’s best to skip that and get right to the action. In general my favorite Godzilla films are the ones that don’t bog themselves down in the drama and just get right to the action. The characters have a very New York attitude of “Lets get this done” regardless of how absurd the whole situation is. They’ll have time to think about it after the job is done. Again, I have to point to the recent Netflix film. They spend the whole movie talking about how scary Godzilla is without actually showing it. That just doesn’t work well in a visual medium like a film. Show us how powerful Godzilla is and it’ll be obvious that he’s a threat. Words aren’t necessary at that point. Show Godzilla flying by blasting the ground and that’ll be a funny scene, but also one that shows how much velocity is in his Atomic Breath. It just works. The recent films have tried to be extremely serious lately and don’t seem to understand that having a giant monster running through the streets can make for a bunch of funny scenes as well. 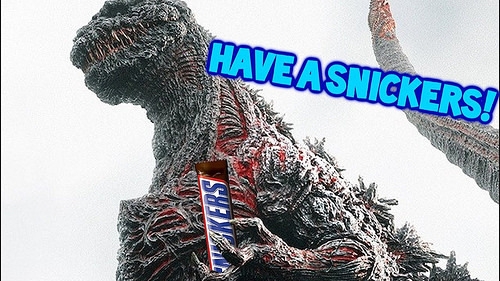 At least Shin Godzilla had a little fun with it to be fair, but the recent American one and the Netflix movies didn’t even try. There is a sect of Godzilla fans who really only liked the first film or have just enjoyed a small handful. I’ve met at least 2 people who felt this way and have heard from many others on Reddit. If the first film is indeed the only one that you like can you really call yourself a Godzilla fan? You’re a fan of the Godzilla film or even the creature, but not the series. On Reddit there’s a user who said that he always goes to watch the films in theaters, but has never liked any besides the original since they’re not as deep and moving. That’s fine (Although we’ve had many other G films with big messages like Shin Godzilla) but then it’s really just an outlier that you liked the original film. It’s like how I could like a James Bond film and not like the series. After you’ve churned out 20+ films, odds are that at least one of them will be good right? The first Godzilla film is actually one of my least favorite since the action isn’t quite there compared to most of the sequels, but it’s still a good film. It’s a little different from the average G flick though and shouldn’t really be used to compare to the other films for the most part. If you expect every G film to be like that one then you may be in for a surprise. However, that seems to be an aspect that the recent films have focused on. It is pretty similar to point 2, but I don’t watch a Godzilla film to see him being compared to a Hurricane or to just watch Humanity roll over and accept that he’s the strongest. I came to see aliens take over the planet and send their monsters after Godzilla. 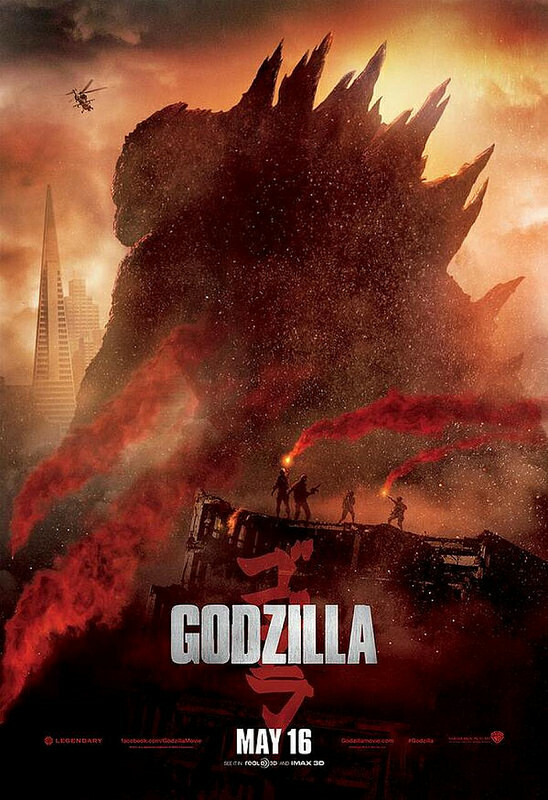 I came to see humanity awaken a powerful monster and for Godzilla to fight it. Without big conflicts like that, it’s just not much of a film. One of the most annoying things about horror films is that often times the humans have no shot. The Mothman, Paranormal Activity, Nightmare on Elm Street, etc. The villains are effectively all powerful so the humans are going to lose, it’s just a matter of when. 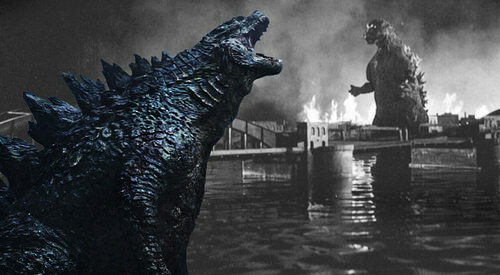 If Godzilla is the only Kaiju in the film then the humans are doomed and the whole film feels pointless. Even if they do win it will just seem cheesy and not very earned. The new Godzilla film coming up sounds like it’s going to be a blast. Honestly I wasn’t really impressed with the trailer, but it was a teaser so I couldn’t expect to see too much of the monsters. The happy music seemed a little off and once again everyone appears to be super in awe of the monsters. Hopefully the film isn’t ultra dramatic there. At the same time, we are going to have at least 4 Kaiju, potentially a 5th. We should get a ton of action and the Godzilla introduction was already taken care of so maybe the action will occur right away. So long as the film was given a reasonable budget this time there should be nothing to worry about. The 3rd Netflix Godzilla film also sounds like it may finally give us some true Kaiju fights as well which would be a huge deal. I think both of these films are going to be excellent and will be a true resurgence for the series. 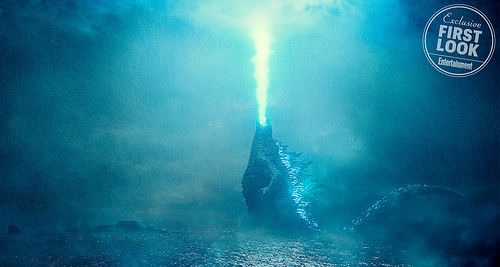 The recent films have been solid though so don’t get me wrong there, but I feel like we are finally getting back to the heart of the Godzilla franchise. At its core it’s an epic movie series about a bunch of monster fights and aliens taking over the planet. The deep messages about nuclear war and fighting nature are nice backdrops of course, but the core premise will always be about the monsters. It’s what separates this series from all others and is why the franchise is iconic. Godzilla films will always be around for us so we need to be around for them. Hopefully more people will realize that Orga is the most underrated Kaiju out there someday though. This entry was posted in Editorial and tagged America, Editorial, Godzilla, Japan, Kaiju, King Ghidorah, Mothra, Netflix, Rodan, Sequels, State of the Film by dreager1. Bookmark the permalink.